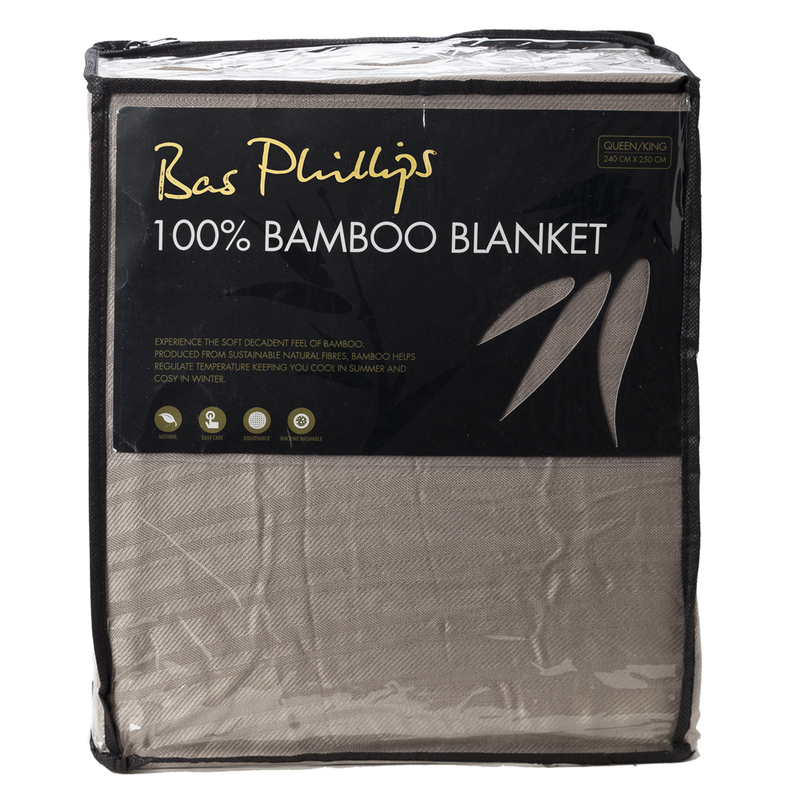 Now as well as being known for their Egyptian cotton bedding, Bas Phillips has also won critical acclaim for their 100% Bamboo Blankets. Not only are these blankets beautifully designed and constructed, but they'll keep you cool during the summer and warm in winter. It wraps up everything you could wish for in a blanket. Bamboo’s natural thermoregulating properties assist with keeping you cool in summer and cosy in winter. It comes with all the benefits of a natural fibre and is exceptionally comfortable. Soft to the touch and produced from sustainable, natural fibres. Presented in a zipped storage pouch. Dimensions: 240cm (w) x 250cm (l).